Diana Shipping Inc. (NYSE: DSX), a global shipping company specializing in the ownership of dry bulk vessels, today announced that, through a separate wholly-owned subsidiary, it has entered into a time charter contract with Cargill International S.A., Geneva, for one of its Capesize dry bulk vessels, the m/v Salt Lake City. The gross charter rate is US$9,750 per day, minus a 4.75% commission paid to third parties, for a period of minimum twenty (20) months to maximum twenty-three (23) months. The charter is expected to commence on March 14, 2019. The “Salt Lake City” is a 171,810 dwt Capesize dry bulk vessel built in 2005. This employment is anticipated to generate approximately US$5.85 million of gross revenue for the minimum scheduled period of the time charter. 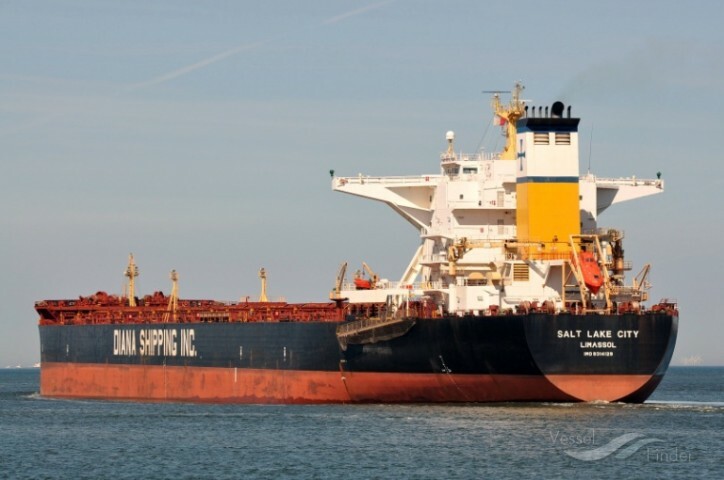 Upon completion of the previously announced sales of two Panamax dry bulk vessels, m/v Danae and m/v Dione, Diana Shipping Inc.’s fleet will consist of 46 dry bulk vessels (4 Newcastlemax, 14 Capesize, 5 Post-Panamax, 5 Kamsarmax and 18 Panamax). As of today, the combined carrying capacity of the Company’s fleet, including the m/v Danae and m/v Dione, is approximately 5.7 million dwt with a weighted average age of 9.32 years.